Why did I go for a tight composition? 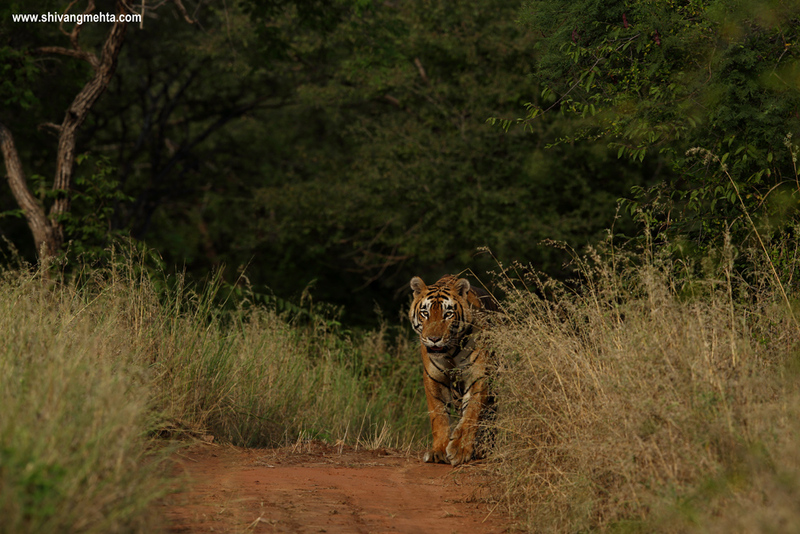 Because the habitat in which the tiger was walking for full of clutter which wasn’t appealing for a wide shot. I had a choice of a Canon 400mm f2.8 IS2 and a Canon 70-200mm handy with me this time. 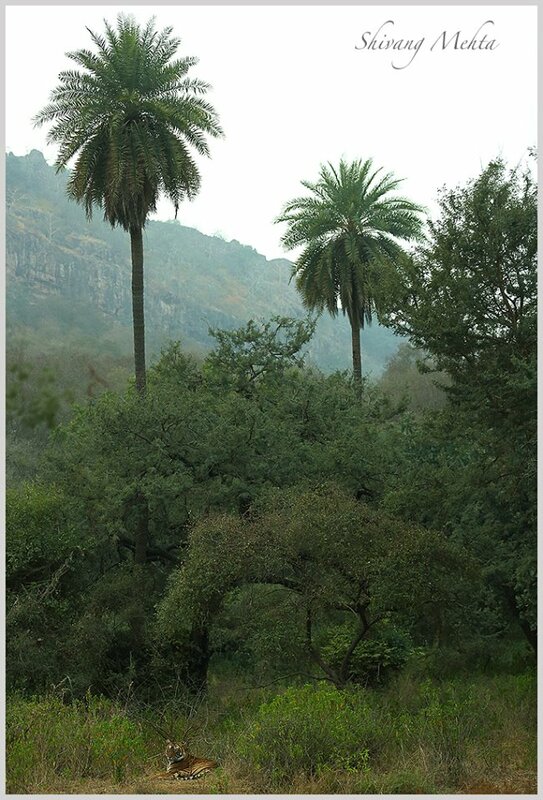 My decision to go tight was mainly to deal with the clutter of a dense Dhonk vegetation which is omnipresent in a place like Ranthambhore. Why did I underexpose the image? Just to capitalize on the patches of cut light falling on the face while the subject was in motion. I did not shoot a lot of images when the subject was walking in the shade areas and was just preparing myself to shoot for the light patches. Even before the tiger started walking the light patches in the Dhonk forest something which I found interesting to play with. As soon as the subject started moving towards those light patches, I metered for those patches only. I did miss some moments when the subject was walking in shade areas but that was not the image I had created in my mind. Why did I compose vertically? It is Christmas today and in case you shutterbugs want to present yourself with the aspiration and much talked about Canon 7D Mark 2, here is a brief field report of my experience with this latest APSC launch by Canon. 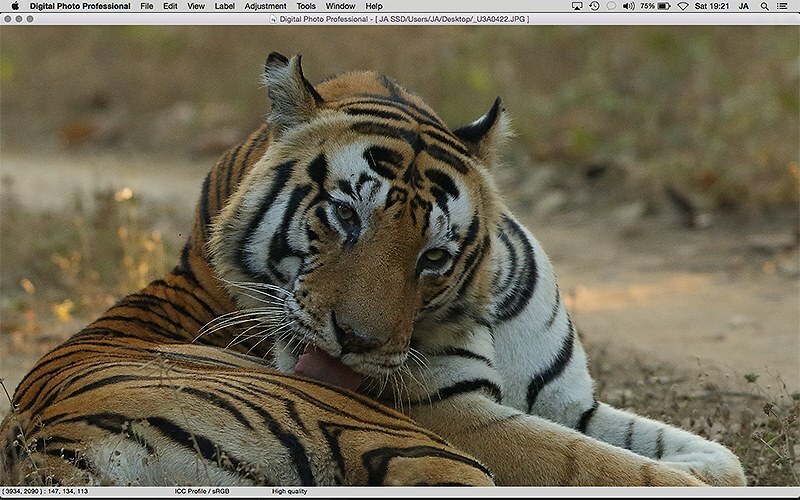 I had the privilege to rough out a demo Canon 7D Mark2 provided by Canon India over a period of 15 days in Ranthambhore and Kanha in varied light conditions and shooting scenarios. This review is by no means a detailed technical review which has already been done by a host of online forums and portals. It should purely be considered as a field review of my experience using this body and since I deal with varied photographers on a daily basis, I would also attempt to suggest the need of a Canon 7D Mark2 for different strata of lensmen. 5 years back the Canon 7D had taken the market by storm. A robust, well built magnesium alloy body with 19 AF points, the Canon 7D which shot at 8fps was built for wildlife and sports photography. Priced at around USD 1699 in September 2009, Canon literally captured the amateur market as the Canon 7D had become an obvious choice of enthusiasts wishing to pick up their maiden camera for wildlife. Along with the Canon 100-400mm and the Canon 300mm f4, the amateurs and serious amateurs swore by this combination for years. 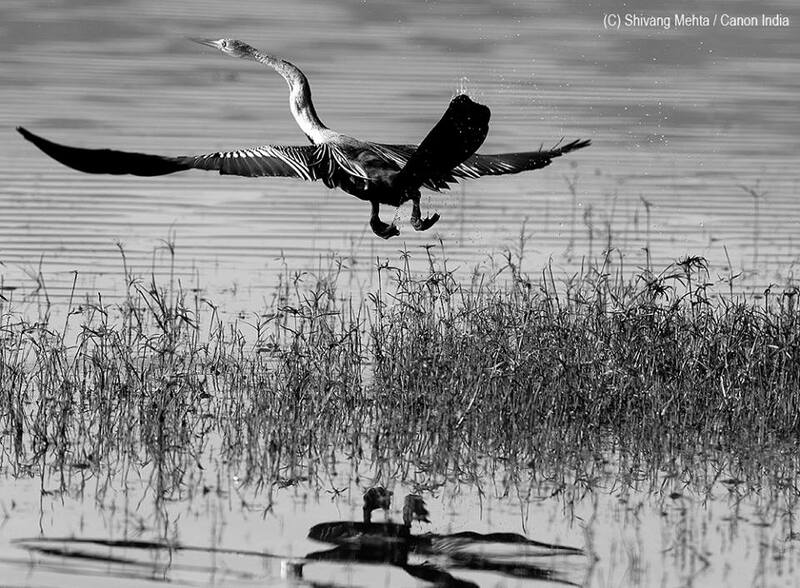 At times I was amazed to see the rapid uptake of this combination during my safaris in various parts of India and I certainly believe that this affordable combo played an instrumental role in the uptake of wildlife and nature photography in India in the last 5 years. The Canon 7D also acted as a great back up body for the Canon 1D Mark4 and Canon 5D Mark2 users of those times. However the Canon 7D had its own pain points in the form of low light performance, loss of details, color rendering etc. It was also said that Canon has essentially given this camera the look and feel of a pro body but the performance is way below standard and the ISO performance of the Canon 7D was always a subject of debate. Some photographers believed that being a cropped sensor Canon could have reduced the megapixels of the Canon 7D to around 12mp which would have improved the noise performance in low light situations. Over the time, Canon 7D – despite of its limitations – had become like an essential element of your camera kit. A lot of hopes were pegged on the Canon 7D Mark2 which is expecting to wipe off the Canon 7D woes and having used the 7D extensively during the 2009-2011 period, I was also eager to unfold the 7D Mark2 mystery as I grabbed hold of this light weight body in early December in 2 of India’s leading tiger reserves – Kanha and Ranthambhore. My first impressions of the Canon 7D Mark2 were positive. The view finder console also enables you to see all your camera settings – WB, metering modes and a smart alignment scale on the top to ensure that your horizons are always in line. 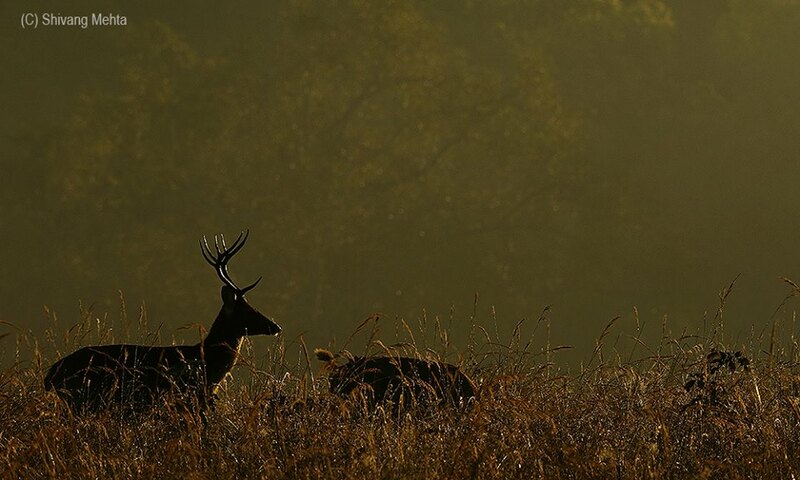 Winter wildlife photography in India is definitely a joy for photographers. The early morning mist mingles with the morning light to give some dramatic colors which make even the most common subjects look photogenic. However a lot depends on the camera you are using as the winter light in the morning is very soft and requires a camera with good low light performance. 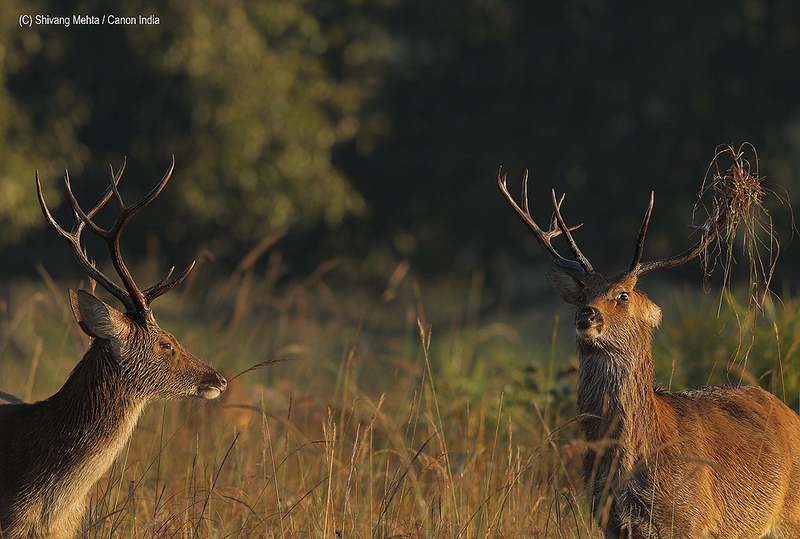 The Canon 7D Mark 2 was put to test to shoot barasinghas (swamp deer) in the open meadows of Kanha on day 1 and the results were at par with the Canon 5D Mark III which was used to shoot the same subject. However the light wasn’t very soft at this point of time and most of the images were shot at ISO 400-500. Here are some of the results. Close up of the image above. Canon EOS 7D MarkII details were spot on. I am not in favor of excessive cropping of images as according to me framing and compositions need to be in-camera as much as possible, but in this era of digital photography when cameras are a part of this megapixel race, cropped composition is a trend followed by a lot of photographers. Packed with 20 MP, the Canon 7D Mark 2 retains sufficient image details when cropped by as much as 60 percent. 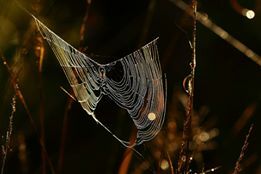 Here is a cropped version of a spider’s web from Kanha National Park. The above mentioned facts were some obvious improvements which were expected from a Canon 7D upgrade. The big question however still remained in my head : how will the Canon 7DM2 fare in a tricky light condition? Can it be trusted like the big brothers – 5DM3 and 1Dx when it comes to ISO performance? 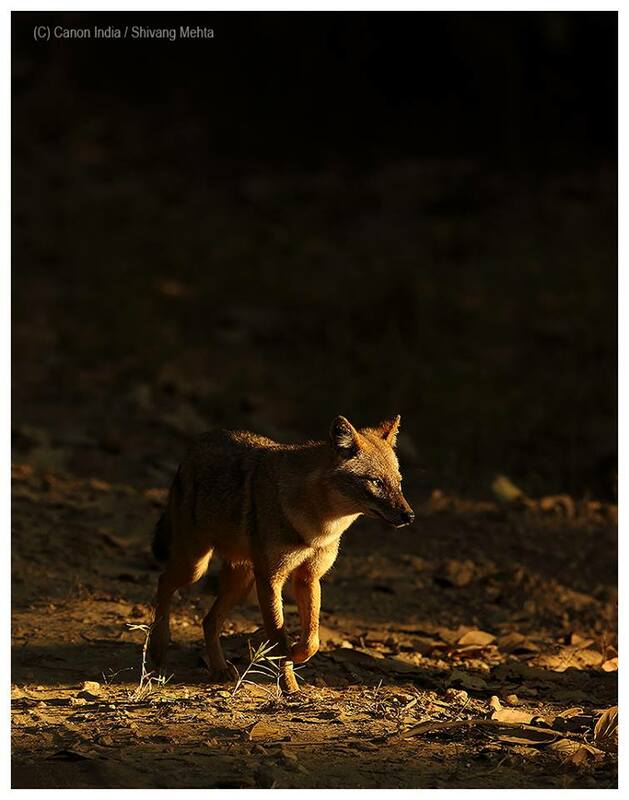 As I was traversing through the saal tracks of Kanha National Park with this question pondering in my head, the opportunity I had been waiting for came on a platter. 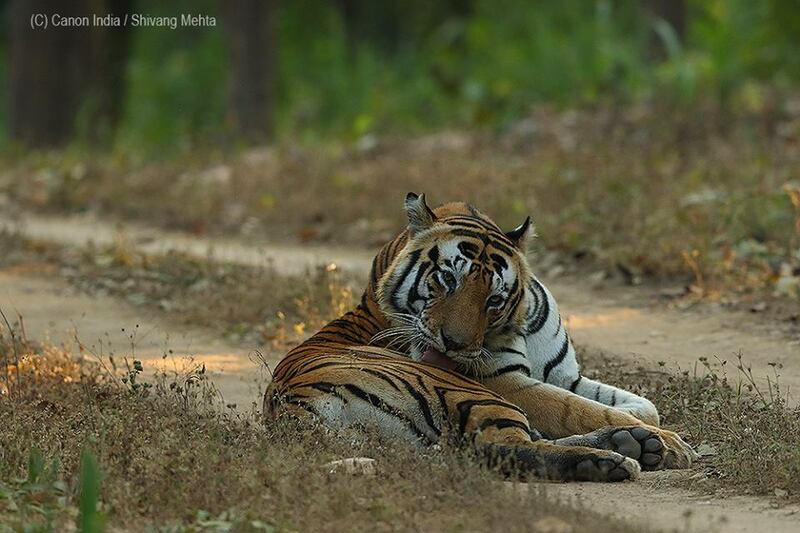 A full grown male Bengal Tiger was caught taking a nap in the middle of the road. The light conditions were poor and it was time for an acid test for the Canon 7D Mark2. Being attuned to a 1Dx and 5DM3, I started shooting at 3200 ISO straight away and the results were definitely not at par with the top of the line Canon bodies. I then slowly experimented with varied ISOs ranging from 800 to 1600. My lens was a combination of a Canon 400mm f2.8 IS2 and a Canon 70-200mm f2.8 IS2. In all circumstances I was a bit skeptical going above 1600 ISO which according to me was the maximum threshold in the given light condition. The results were remarkable at 1000-1600 ISO specially among the entire gamut of cropped sensors available in the market till date. 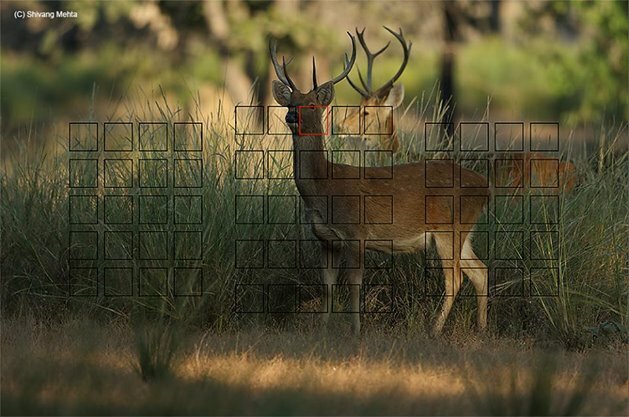 Drawing parallels for the Canon 7D Mark2 with heavyweights full frame sensors like the Canon 5D Mark3 and Canon 1Dx would be an unfair comparison as the latter do have a superior low light performance and definitely have an edge when used at ISO 2000-3200. However amongst the cropped sensors including its predecessor, the Canon 7D Mark2 does work brilliantly between ISO 1000-1600. I do recall that years back when I was on a Canon 7D, the brain was tuned not to boost the ISO above 800 (640 at times). 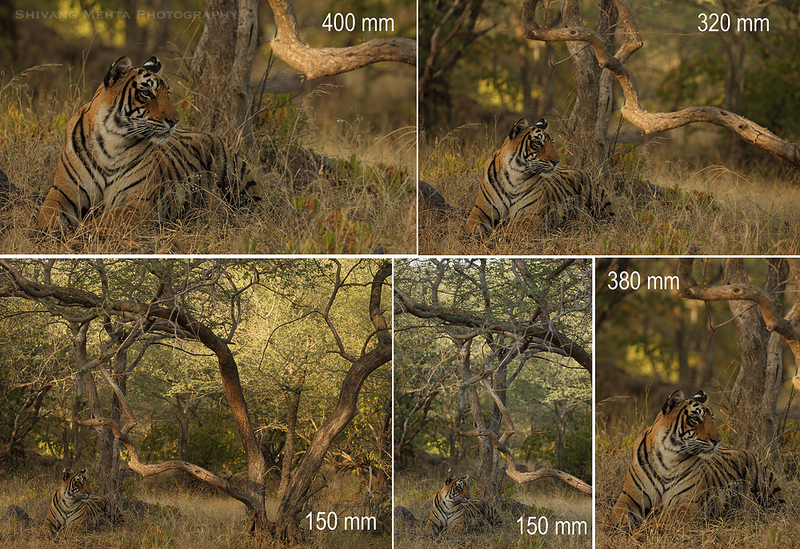 In the middle of this testing phase for the Canon 7D Mark2, I shifted my workstation from Kanha to Ranthambhore and while I was still looking for a good opportunity to test the 10fps of this body, my first day in Ranthambhore gave me an opportunity to try something very interesting with the 7DM2 : The Live-view feature. Using the live view for still photography is not something we regularly do since we are more comfortable shooting from the optical viewfinder. 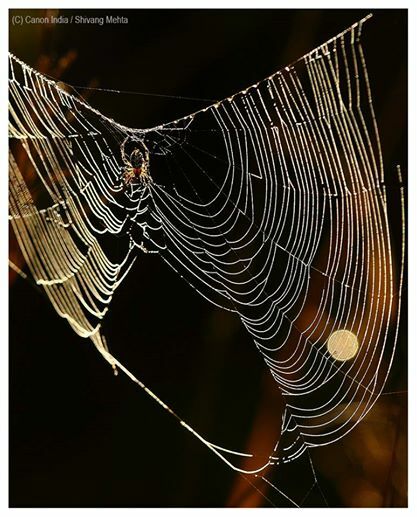 However, a DSLR live view feature is definitely useful when the subject is still and not in motion and you have the luxury of time to compose and frame in a manner that the subject lies beyond the reach of the focus points of your DSLR. Even in high end full frame bodies like the 5DM3 and 1Dx, using the live view can become a bit frustrating at times. You need to press the AF repeatedly to fine tune the focus and at times you need to focus manually as well after magnifying your subject to 100% to ensure the focus is precise. The Canon 7D Mark2 live view feature is an absolute delight as the camera is built to focus automatically. Even when the subject occupies a small part of the frame, you can just magnify by 50% or 100% and the camera will automatically focus on the subject. Ofcourse, this works brilliantly when you are shooting videos and unlike most of the DSLRs including the big Canon machines, the 7DM2 hooks on to the focus automatically. 50% cropped view. The focus on the tiger was spot-on. 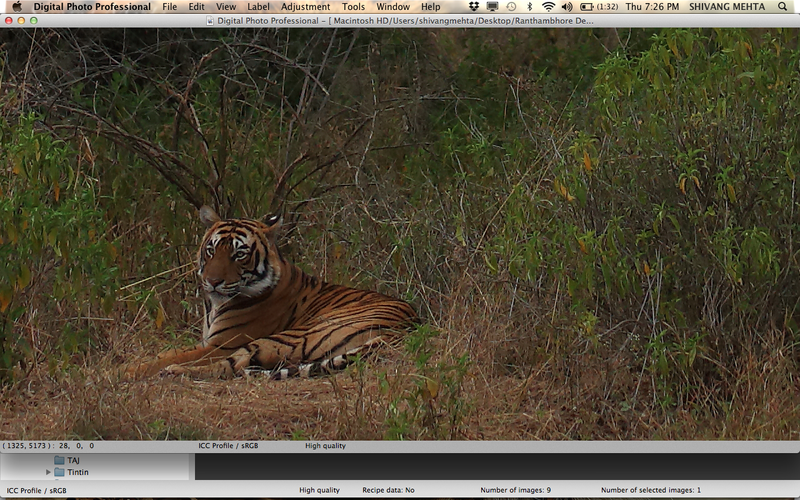 Time taken to focus on the tiger using the live-view was just a few milliseconds. At 10fps, the Canon 7DM2 was slated to be a mini Canon 1DM4 (the 1Dx predecessor shot brilliantly at 10fps). 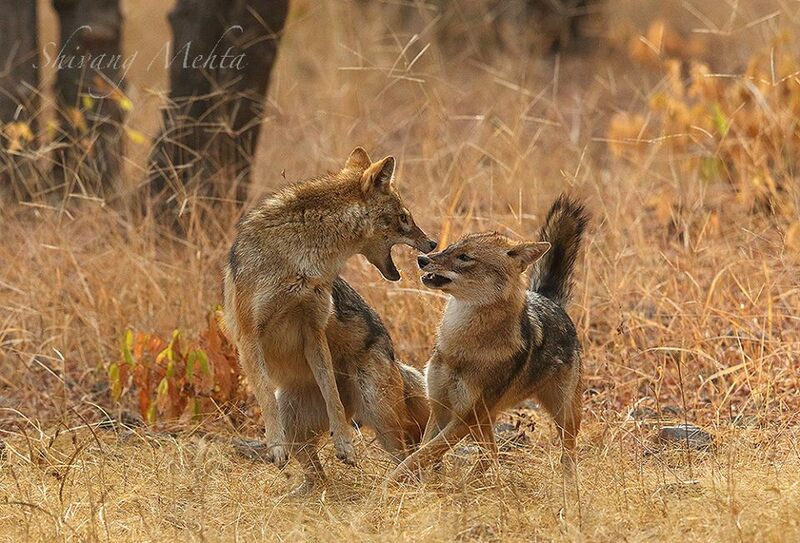 I encountered a fast jackal fight sequence during my Ranthambhore field days. The situation was tricky because of the presence of foreground grass which I purposely did not want to avoid in order to check the AF of the 7DM2 specially on a burst mode. The subjects were back lit as well. It was an awesome experience shooting this action sequence with the 7DM2 and 400mm f2.8 combo. Of the 5-6 frames that I got, none of the images had soft focus. It was more like using a 1Dx which can be relied on blindly in case of fast action and precision when it comes to focusing. So what’s my verdict on the Canon 7DM2? 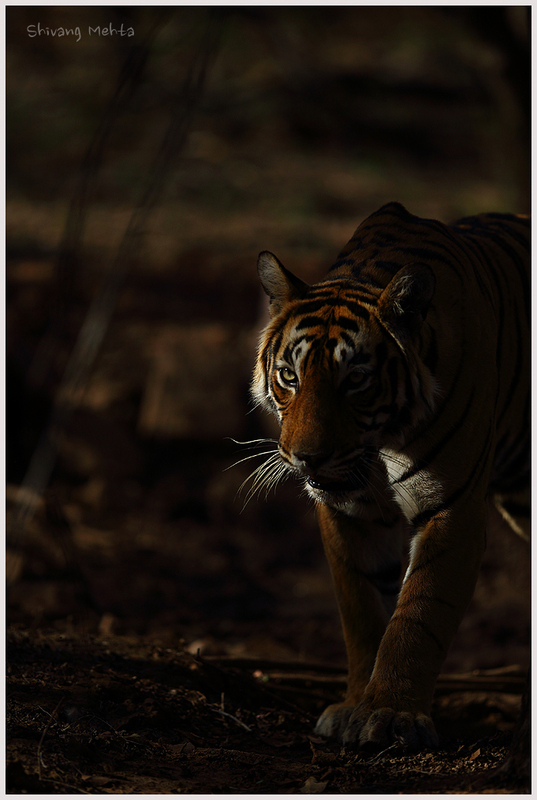 A fast DSLR which can perform well in low light is a basic pre-requisite for wildlife photography. In case you are planning to learn wildlife photography and want to pick up your maiden DSLR, the Canon 7D Mark2 is a must for your kit. It has some built in features of high end Canon cameras like the 5DM3 and 1Dx and given the price point Canon is marketing this product at, it would definitely aid your photographic visions. For serious amateurs and pros who already have a range of Canon DSLRs in their kit, having the Canon 7DM2 in your kit is a good option. A lot of times we need range in order to create the exact frame we have visualized and instead of putting on a teleconverter which would impact your aperture as well, you can just swap bodies and use the 1.6x cropped sensor of the Canon 7DM2. In good light situations, you wouldn’t miss your top of the league bodies for sure. 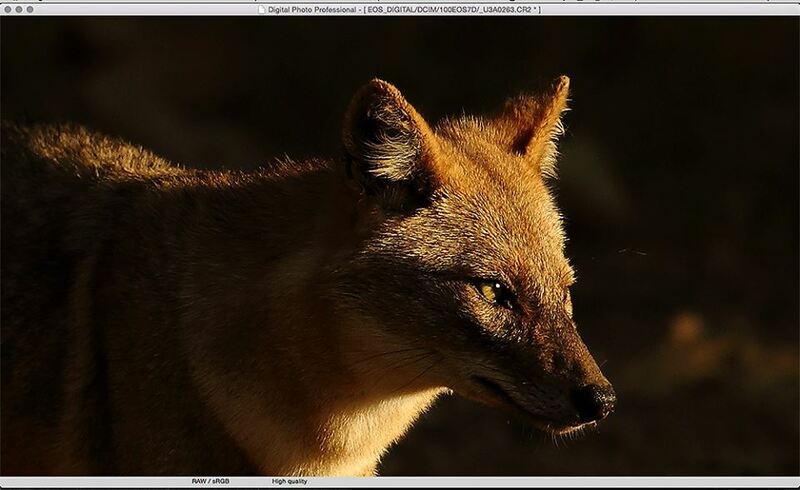 My overall verdict for the Canon 7D Mark2 is a definite yes for all kind of nature photographers. Canon has carefully dealt with the issues of Canon 7D and am sure photography would be great fun for young amateurs wishing to step in the field of wildlife photography armed with this new Canon machine. 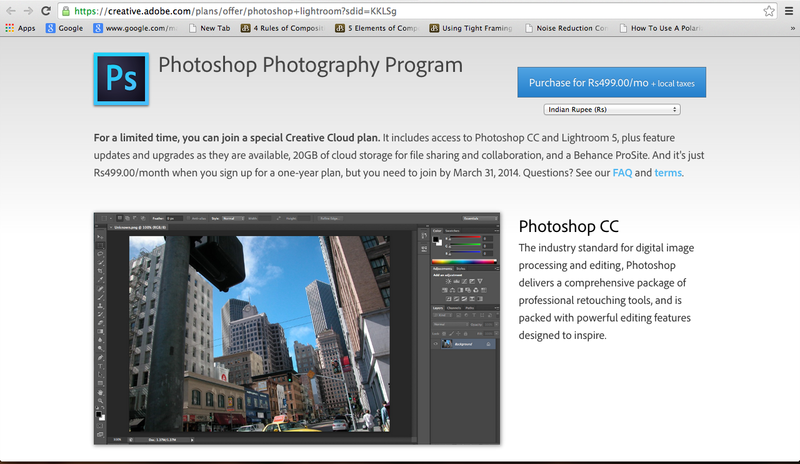 Not endorsing Adobe here but this was a really cool offer shared by their team and am pleased to share it across with all you shutterbugs.